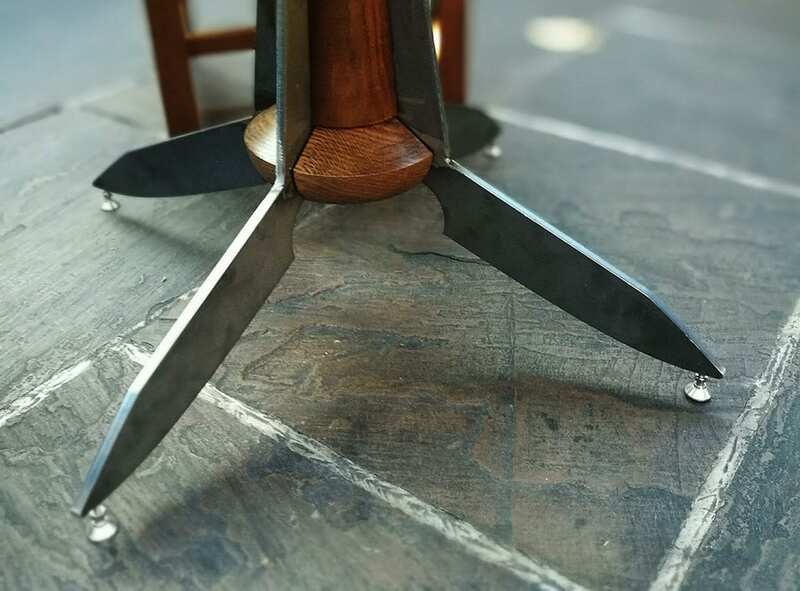 "Design and build 26 tables using the materials you use every day; Wood, Leather and Steel"
We don’t build furniture as a rule… but every day we grind metal and shape wood, so thought… why not! 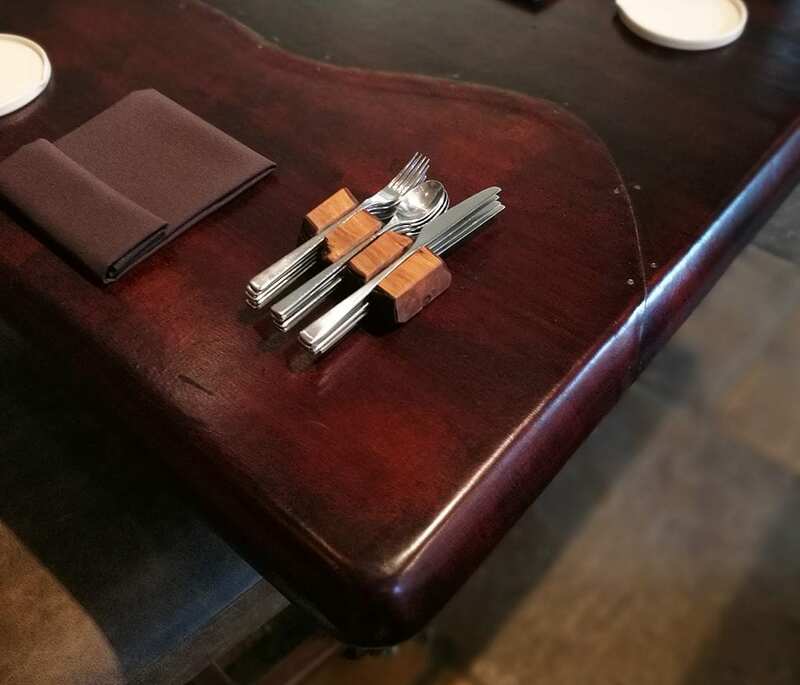 The finished tables featured a deer leather wrapped top, solid 10mm thick steel knife shaped legs with Walnut detail. 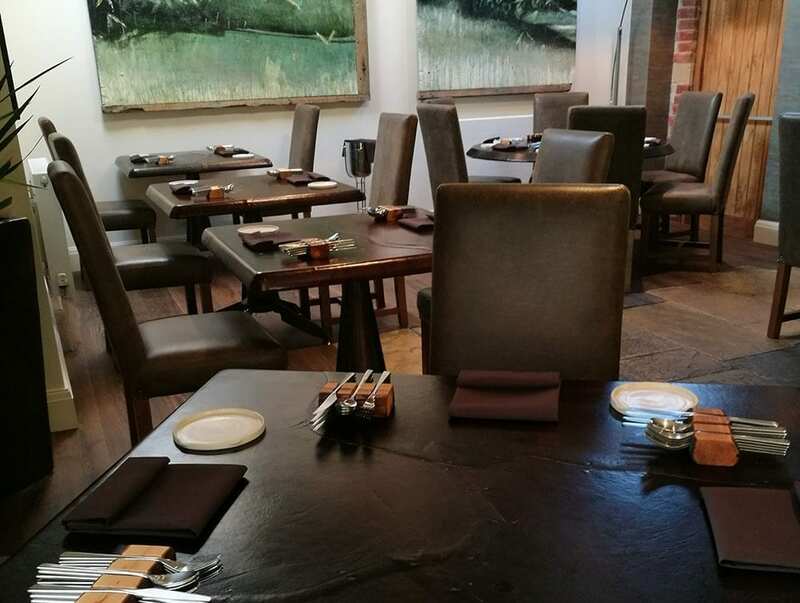 Each table has adjustable feet to give extra stability on the flagstone restaurant floor. 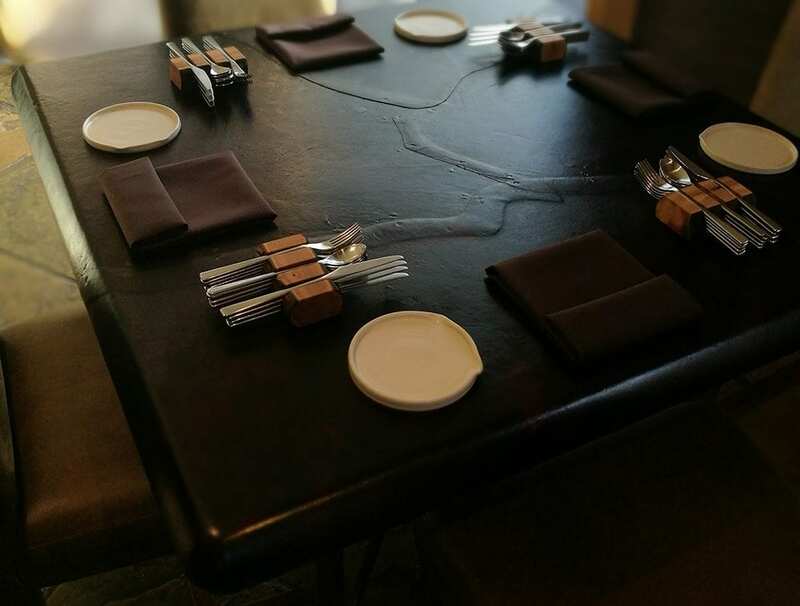 Just like a Carbon steel kitchen knife, these tables will form a beautiful patina on the leather tops.